How can we think teenagers should dream if they are not sure what to dream about? Why Career Exploration matters for High-School Students? Career exploration opportunities help young people realize how the working world looks like. It helps them “build a bridge” between school and career in their minds the way it motivates them to get the necessary skills for the future. This is the second step in planning your career. The first step is self-assessment, where you learn about your skills, personality, interests, values, and aptitudes. After applying different techniques for collecting this information, you get a list of careers that are a good choice for applicants that have traits that are similar to yours. The listed careers might look suitable, but you will not surely go further and randomly select one of hem. You have other things to consider. Each career has features that make it better than others. You can try using a career exploration worksheet. Many of them can be found on the internet. After having checked what careers can fit you, your goal is to select one that will be the best one for you. How to Choose Best Career for You? Do not eliminate any occupation from your list without doing thorough research. Don’t think you already know everything about the profession. It may surprise you how many new things you can reveal about it when digging for information. If you cross some career off because of a preconceived notion, you might eliminate one of the best fits. Students can also try to write high school student resume and the teacher can supervise their works. It should reflect all their accomplishments, interests, hobbies, work experience and extracurricular activities. Practicing writing a career school resume can help students get prepared for a real college interview. 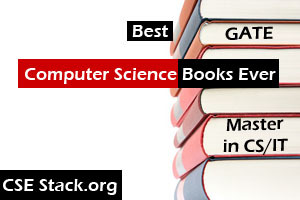 If you are from a computer science background, there are lots of myths related to the computer science career. You should avoid giving importance to them. CEI is a career exploration test interpreted and scored by the test-taker him-/herself. It does not only measure interests in the main occupational clusters but also measures interests in both learning and leisure activities for the past, present, and future. This unique approach can be helpful because it analyzes main life experiences that are ignored by other interest tests. To help students make a smart decision, teachers often imply career exploration activities. They are used even in elementary school because they help children state what is their “When I Grow Up Plan” and move childish fantasy into reality. On the internet, you can find activities for both elementary, middle, and high school students. These activities can be led not only by a teacher but also by any other adult – a coach, a parent, a camp counselor and so on. Fun career exploration activities exist, and there are lots of them on the internet. Which is the Best career exploration activity? Here is the one for the high school students, that is called ABC career activity. During it, teachers ask students to find skills and careers that begin with each alphabet letter. Afterward, students are asked to mark the skills they think they possess. Later the students should explain why each skill is important for a given profession. For example, an IT manager should possess time-management skills. There are also special skills for the software developer. Bureau of Labor Statistics (BLS) has created a government career portal specially for teenagers. On this website, you can find a vast range of resources, including tips on career planning and interviews with school graduates. Students can browse state and national data to look for the best jobs across the list of industries, and IT is one of them. If you are looking for Job Always follow the standard job searching techniques. Students can get to know what skills they need to get the desired role. This site is regularly updated and puts the focus on a definite occupation every month. This guide features interviews for teenagers, their parents, and career experts. It focuses on post-high school training. This guide informs about getting financial help, selecting a college major, as well as interview tips and resume. This book is a primer for the students of the high school who know what field to choose, but not sure about a profession. For time to time, universities from the field of technology organize workshops on this topic. How does Career Exploration workshop work? The industry experts answer the visitors’ questions and help you prepare for the IT career. The invited specialists share their insights on the field of IT. They also give tips on how to prepare for the IT career and ways to create a professional resume. Now what? is a guide to selecting the perfect career for young people. It is similar to the career exploration workshop for students. It describes useful techniques that help readers build a perfect career from scratch. Its author, social scientist called Nicholas Lore, included quizzes, charts, and worksheets that are based on the students‘ personality type. As a result, teenagers can realize what their vocation is before applying to college. The mentioned resources help students of the high school prioritize their future career goals. They can also take advantage of online career technical education that will prepare them to the working world. What’s your thought about the importance of Career Exploration? Vik Vein is a job search enthusiast who is surfing the net day after day to find the best strategies and tools that help people get back to work or get more pay. She is also providing resume writing service.